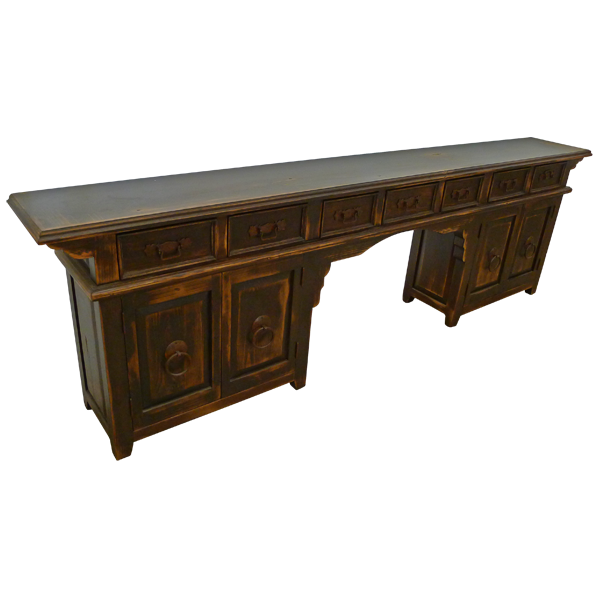 The marvelous, dark finish and the classic design of this handcrafted, Western style console will be a wonderful addition to your home. The console has an open, wide top with a staggered top rim. 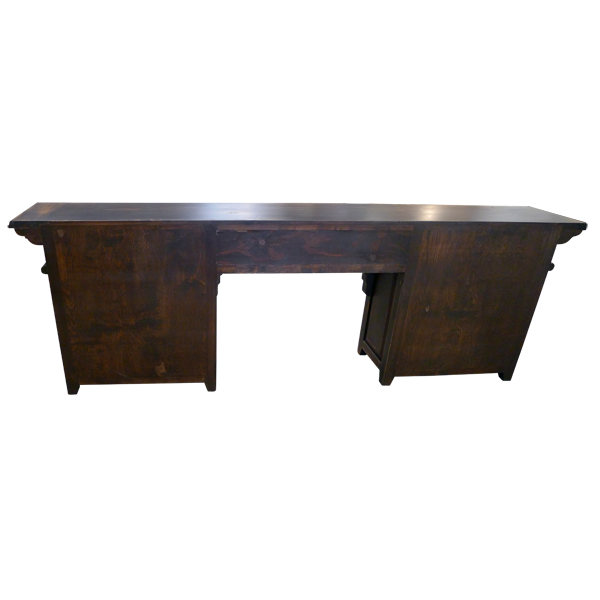 Below the top rim are seven, horizontal, rectangular drawers, and each drawer has a hand forged, iron handle in its center. The design of the staggered top rim molding is repeated under the drawers. 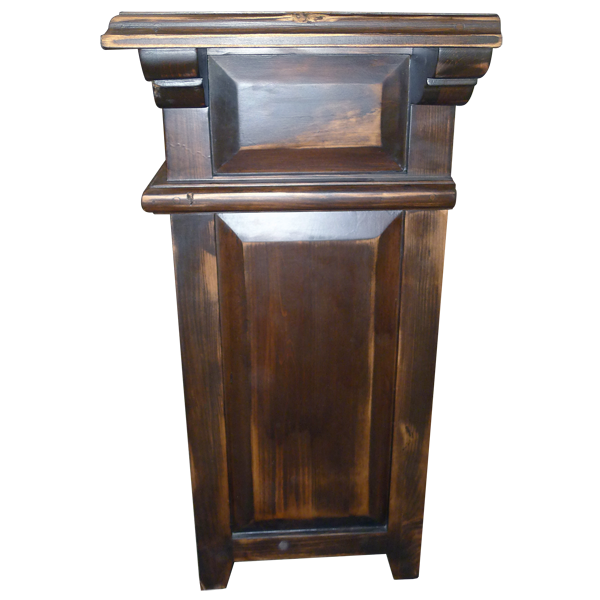 On each lower side of the console are two cabinet doors, and each cabinet door has a rectangular cut design on its face. Centered in each cabinet door is a hand forged, iron, pull ring. The console has practical, inside storage space, and inner shelving can be installed. On each lateral side of the console are two beveled, rectangular cut designs. 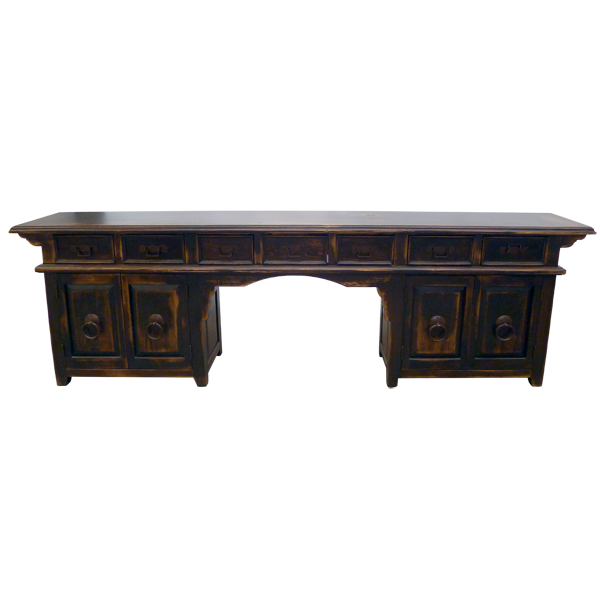 The console rest on small, solid wood feet, and it is made with the best, sustainable, solid wood available. It is 100% customizable.